ACL Distribution, Grand Rapids, MI, has named Larry Berger, Jr., as product manager of the company’s new line of Ajusa brand gaskets. According to ACL Director of Sales and Marketing, Dennis Fox, Berger has responsibility for selling, marketing and procurement of the gasket line for the US and Canada and will oversee the sales activities of ACL’s sales rep force. 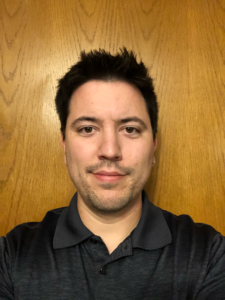 Berger joins ACL from Heartland Sales, a manufacturers’ representative firm specializing in the marketing of engine parts in the Midwest, where he gained a comprehensive knowledge of engine parts as well as becoming acquainted with fundamental machine shop operations and procedures. Ajusa is a Spanish gasket manufacturer and premier supplier of gaskets for Asian and European engines throughout Europe. Their gaskets replicate OEM gaskets design and materials and appearance, and are available as complete sets or individual components. 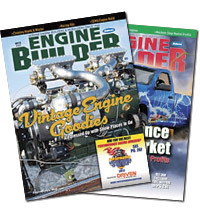 Gasket coverage includes current engines as well as engine models going back to the ´80s and ´90s. Ajusa has designated ACL as Master Distributor for the US and Canada. Ajusa gaskets are presently available from ACL’s distribution center in Grand Rapids MI and will soon be distributed throughout their warehouse network. For more information visit www.aclus.com.